Dr. Vivek Shanbhag, ND, MD (Ayurveda), BAMS, CYEd. Licensed Naturopathic Doctor, Ayurvedic Practitioner, Professor & Author for over 30 years. Founder & Director of YogaAyurveda.org -Natural Medicine Clinic, Academy & Wellness Spa with 2 Clinics in San Jose and Los Gatos in Bay Area of California. Dr. Shanbhag specializes in integrating Ayurveda, Naturopathic Medicine & Yoga to treat acute and chronic diseases. For individuals and families, Dr. Shanbhag plays the role of a wellness coach. He guides them in the process of healing themselves to achieve optimal body-mind-wellness through daily & seasonal wellness routines, appropriate exercise, yoga, individualized nutrition, healing herbs & vitamins, gentle detox-cleanse (Panch Karma), pranayama, meditation, stress management, anti-aging & rejuvenation therapies. Gayathri Shanbhag, MS Consultant in Nutrition & Diet Therapy and a Professor for over 23 years. She graduated with a Masters in Nutrition from the Bastyr University, Seattle in 1993. She has designed a very successful Ayurvedic Natural Weight Loss Program. She is a master chef specializing in Ayurvedic Cooking of South India & Coastal India. She has trained with expert chefs including her mother & her mother-in-law. Since 1990, she has taught Nutrition Courses & Healthy Cooking Classes at Bastyr University, Ayurvedic Academy, Whole Foods and Goa Ayurveda & Yoga Academy. Currently, she is working on her “Ayurvedic Wellness Cookbook”. 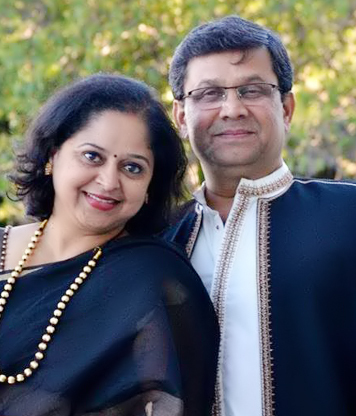 Dr. Shanbhag & Gayathri are supported by a team of Natural Health Care Specialists & Pancha Karma Detox Therapists. 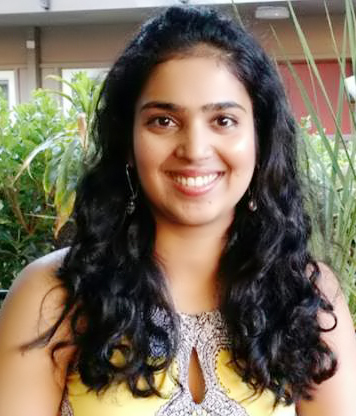 Devika Deshmukh, MD-Ayurveda, BAMS, CMT is the Panchakarma expert on team at Natural Medicine & Ayurveda, San Jose. She has worked with 3 esteemed Ayurvedic institutes in India & has trained under her parents who run a Panchakarma clinic in Mumbai, India. She specializes in detoxification & bringing the imbalanced body into equilibrium. She is trained in various massage & body work techniques & offers a customized treatment plan by evaluation. Teaching is her passion, she conducts webinars & has coached students coming from UK, US, Poland, Israel, Italy & taken workshops on Yoga, Ayurveda & Panchakarma. 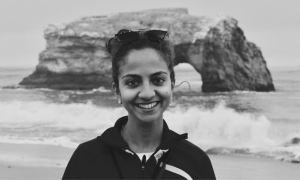 Samika’s interest in health and wellness began during her internship at the South Asian Heart Center in Mountain View, California. She obtained her Bachelors of Science degree in Biology and Psychology from the University of California Davis and her Doctor in Naturopathic Medicine degree from Bastyr University. Samika motivates and empowers individuals to take charge of their health and to achieve wellness. She supports each individual in making the appropriate lifestyle changes by addressing nutrition, exercise, and stress management while incorporating functional lab tests. Her interests include Digestive and Women’s Health, Health Education+Promotion, Nutrition, Functional Medicine, & Ayurveda.